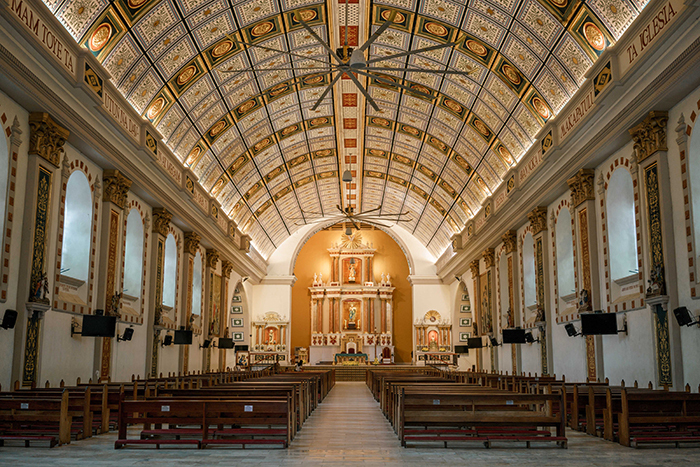 With Catholicism as the center of Filipino faith, the Philippines shelters historical churches in almost every region, many of which were built several decades ago. Sitting at the far north between the Cordilleras and the Sierra Mountain ranges, Cagayan is a quiet piece of land that will charm you of its unspoiled splendor. 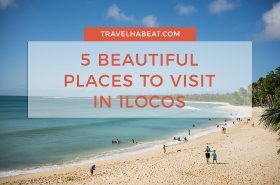 And as you slowly gravitate to its beauty, you’ll discover its share of some of the most stunning churches you’ll ever set foot on. 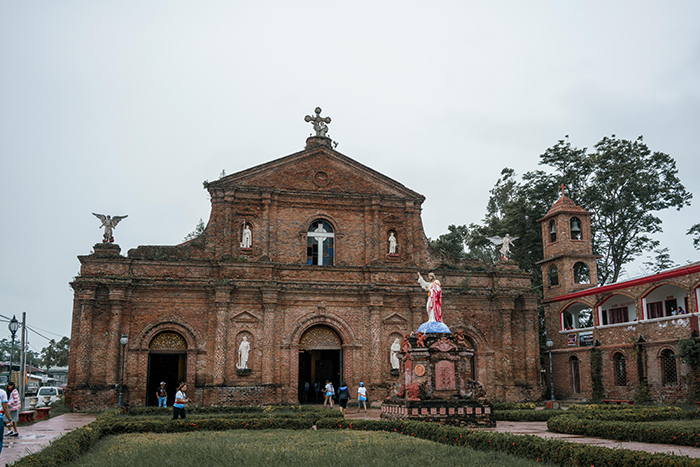 Being one of the early provinces that existed during the Spanish colonial period, Cagayan proudly preserves five beautiful brick churches, probably among the oldest ones you can find in the country. Standing in front of these shrines, you’d feel this sense of privilege being able to see them in your lifetime. 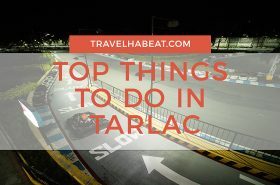 This is why if by any chance you’ll travel north, take the opportunity to visit Basilica Minore de Nuestra Senora De Piat, Calvary Hills and San Antonio de Galicia Church, Tuguegarao Cathedral, St. Philomene Church, and Sto. 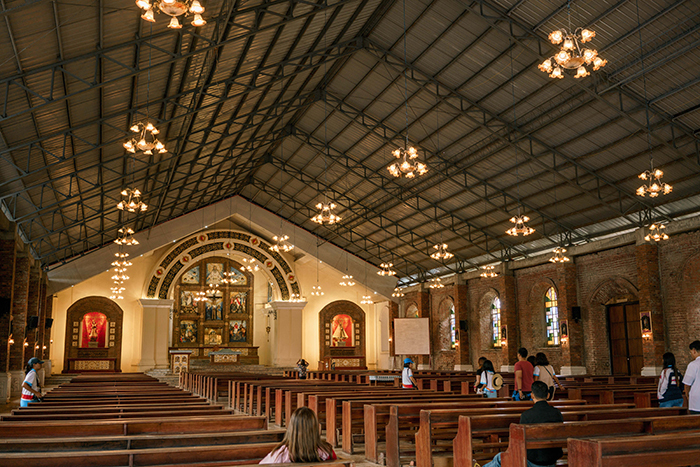 Domingo de Guzman Church. 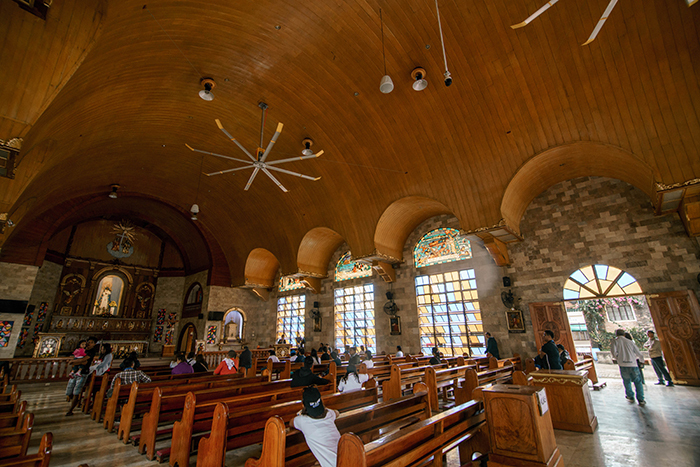 The town of Piat is referred to as the Pilgrimage Center of Cagayan Valley. 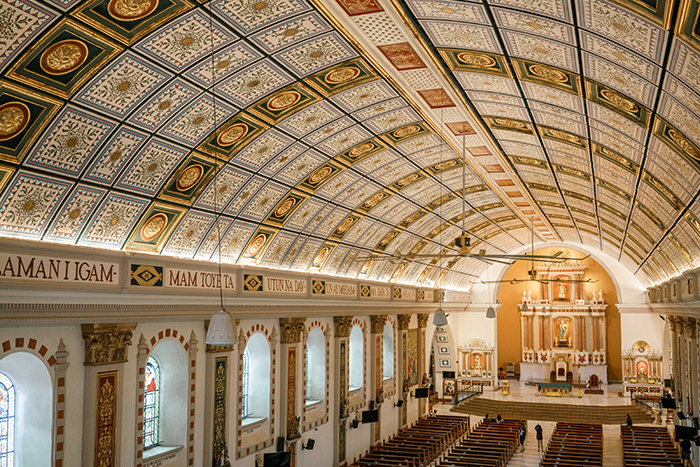 This is where you will find Basilica Minore de Nuestra Senora De Piat, one of the 12 minor basilicas in the Philippines. 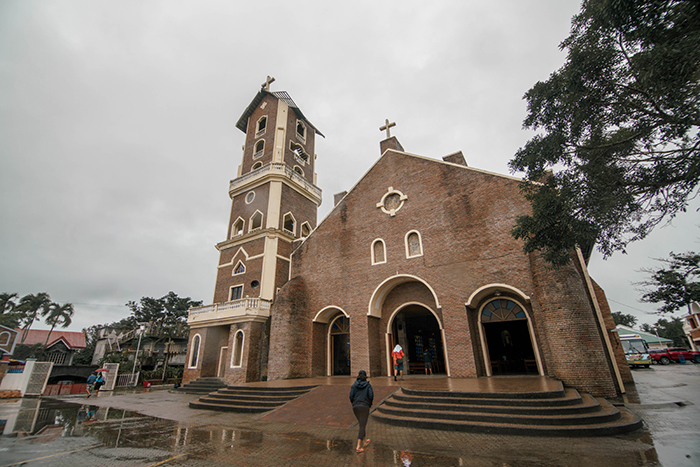 It houses Our Lady of Piat which is the black image of the virgin Mary. They say it was brought to the Philippines from Macau by the Dominican friars. Serving today as the patroness of the town of Piat, Our Lady of Piat is actually considered as one of the most valued Marian images in the country. 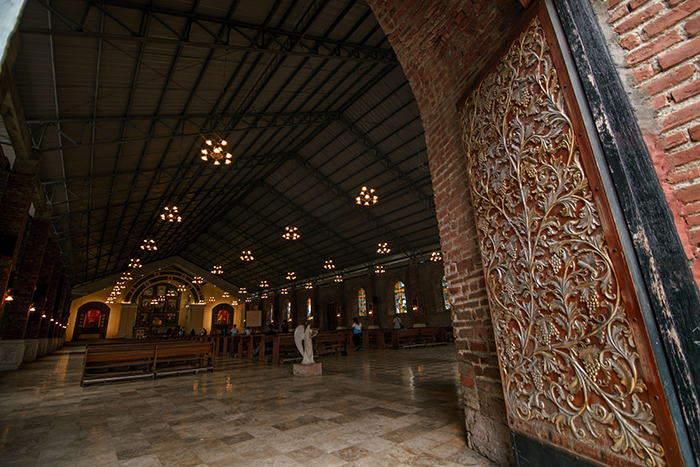 Embodying a Romanesque architecture, Basilica Minore de Nuestra Senora De Piat welcomes you with a humble facade. But things get more interesting as you enter inside. Interiors were mainly set on wood accentuated by stained glass windows. 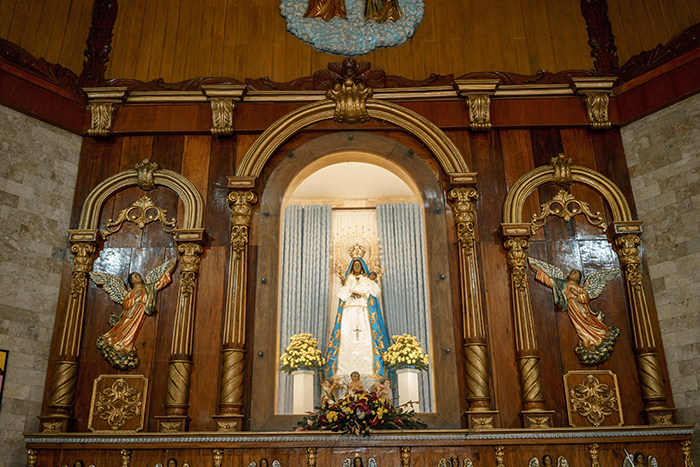 At the center of the altar is Our Lady of Piat enclosed in a glass case. Behind the case is a window where devotees can touch the dress of the Blessed Virgin Mary. 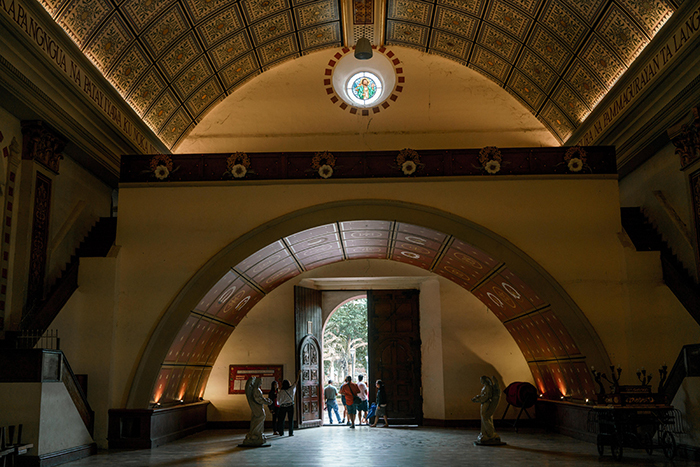 Notice also the arch surprisingly located at the back of the church where “Basilica Minore Nuestra Senora De Piat” was inscribed. Walk a few steps from the arch and you will see a big mural depicting the arrival of Our Lady of Piat from Nueva Segovia. 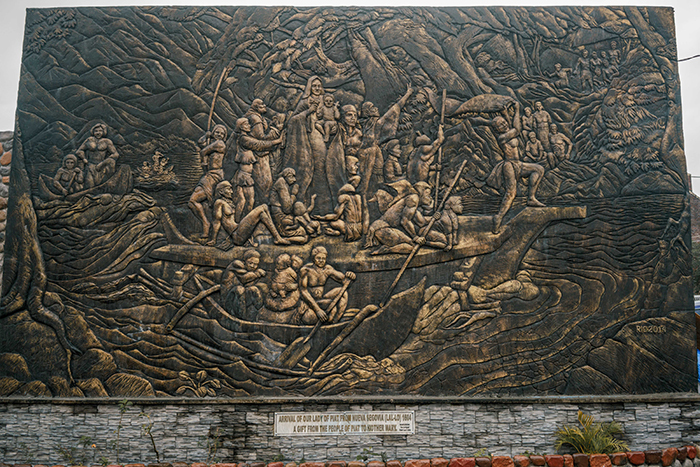 Mural depicting the arrival of Our Lady of Piat from Nueva Segovia. 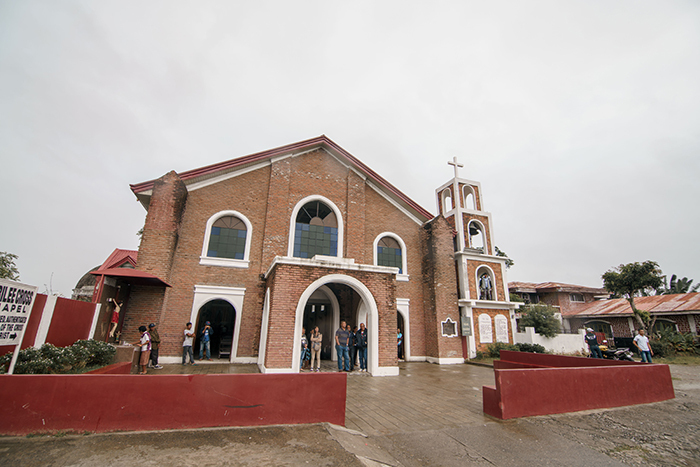 Built from 1765 – 1787, San Antonio de Galicia Church was constructed from red bricks and stone. 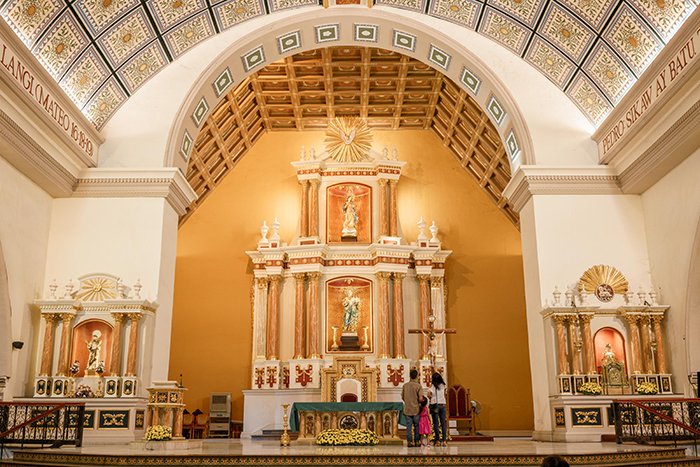 You might think this is just another brick church not until you see the entire structure. Uniquely made with flying buttresses, San Antonio de Galicia Church seemed like a masterpiece founded in the ancient times that you only get to read in books and imagine. San Antonio de Galicia Church made with flying buttresses. 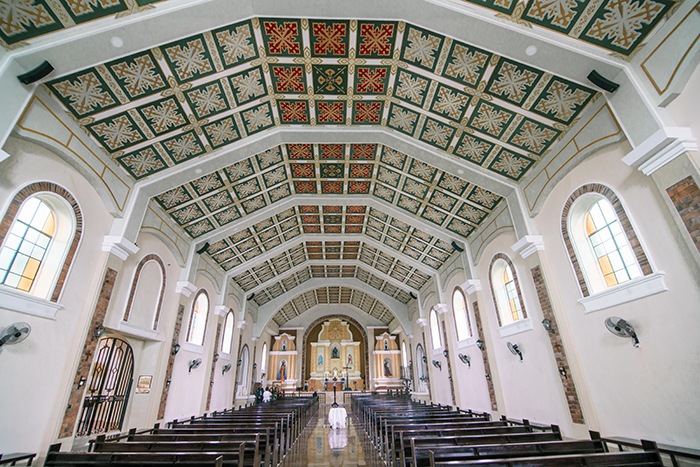 A stunning edifice on its own, San Antonio de Galicia Church is also beautifully located at the Calvary Hills – an eleven-hectare rolling hills with a view of the Cagayan river. 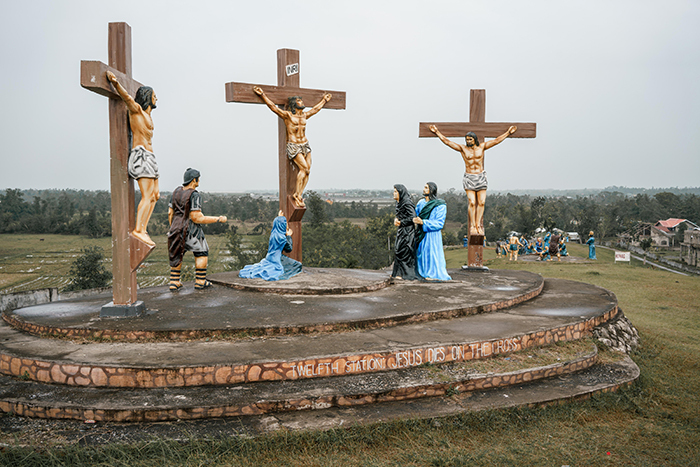 Also scattered in the hills are statues portraying the 14 Stations of the Cross making it a famous destination for pilgrimage during the Lenten season. 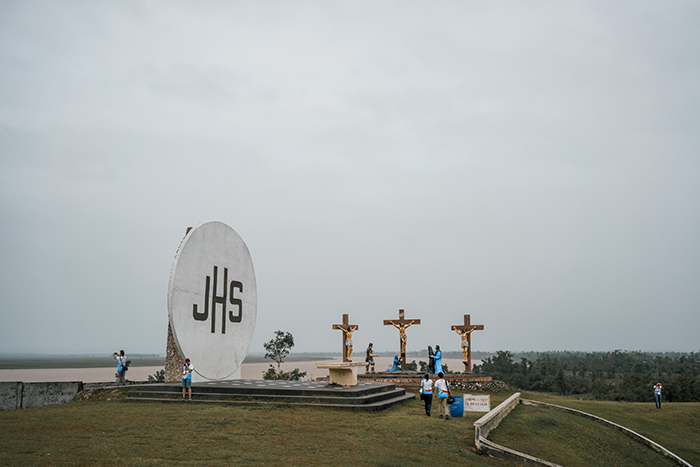 Calvary Hills with a view of the Cagayan river. 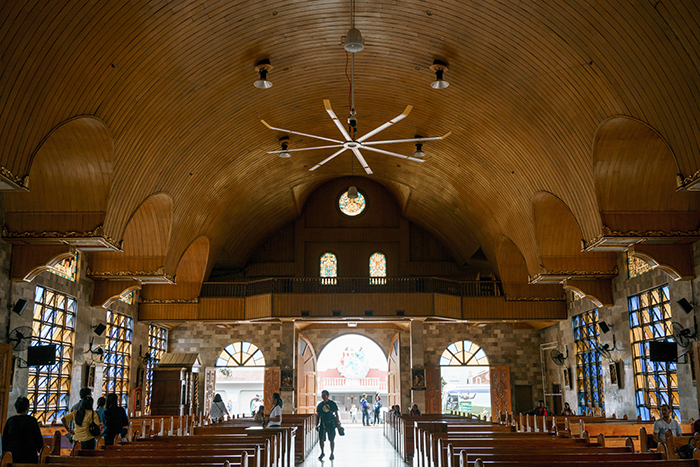 Also known as Saint Peter Metropolitan Cathedral, Tugeugarao Cathedral was originally built by the Dominican friars around 1600. 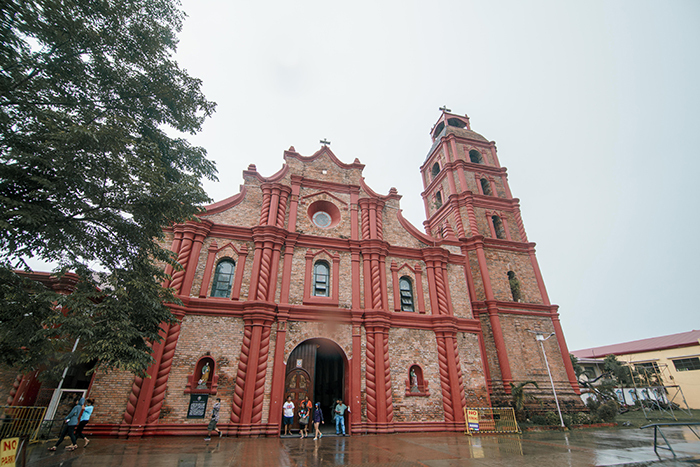 Considered as one of the largest churches in Cagayan, its red brick façade was decorated by pilasters, also in red. The bricks constituting mainly both the exterior and interior of the church contain various symbols. Also fascinating inside is its ceiling painted with intricate details. 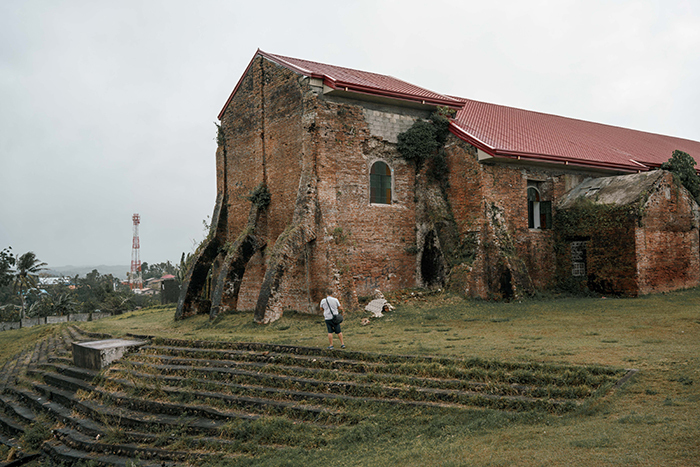 Tuguegarao Cathedral was actually heavily damaged during the World War II and was rebuilt by Monsignor Bishop Constance Jurgens. Today, the Baroque styled church ravishingly stood after some restorations through the efforts of the local parishioners. 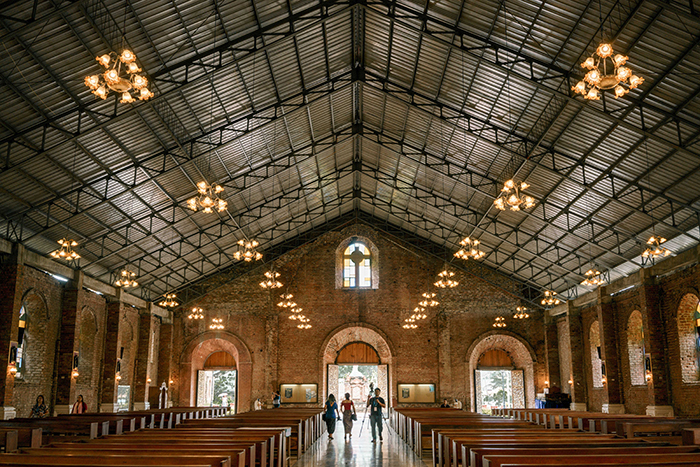 Another exquisite red brick church in Cagayan is St. Philomene Church built in 1881. Beautiful inside out, the red brick structure was gorgeously set in a lush garden landscape. Situated next to the church is a bell tower and a school. Stained glass windows resting beautifully against red bricks. 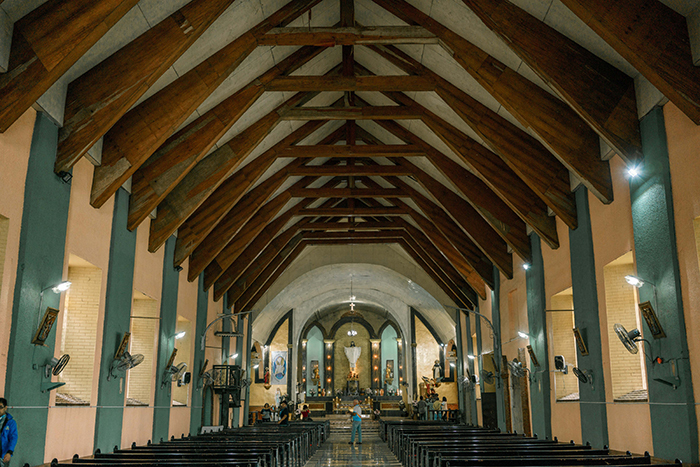 With walls having a distance that measures 90m x 30m, St. Philomene Church is attributed as the widest church in Cagayan Valley. 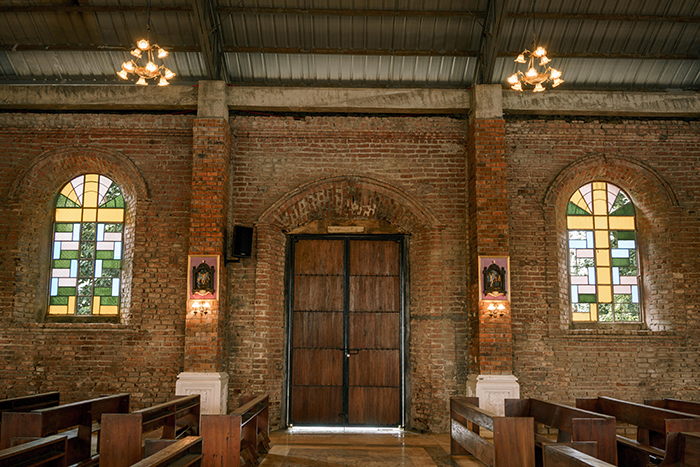 Its astonishing interiors consist of wooden doors and stained glass windows resting against red bricks. 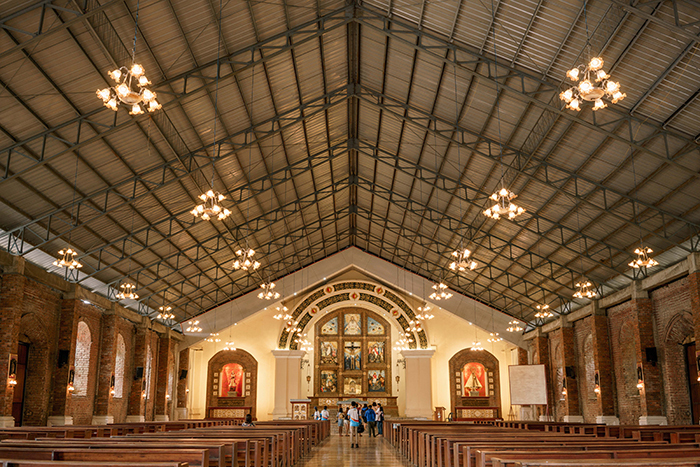 St. Philomene is the widest church in Cagayan. 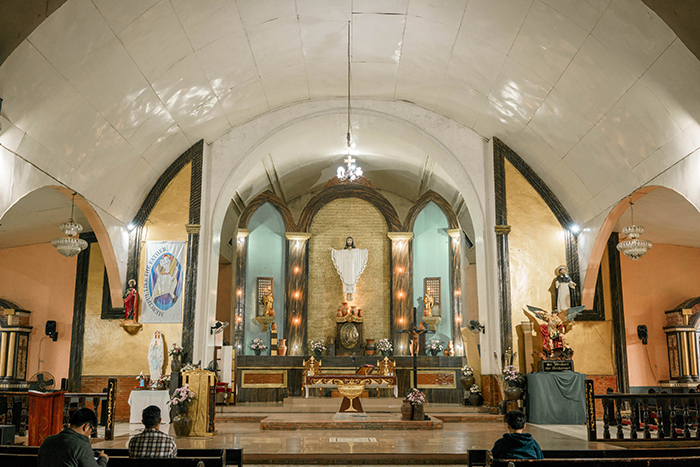 Christianity came to Lal-lo, formerly known as Nueva Segovia, when the Spaniards entered Cagayan Valley in 1581 to utilize the town as civil and military headquarters. Established by the Dominicans, the church was dedicated to Sto. Domingo de Guzman (St. Dominic de Guzman), Nueva Segovia’s patron saint. From the three parishes of Nueva Segovia, only Sto. 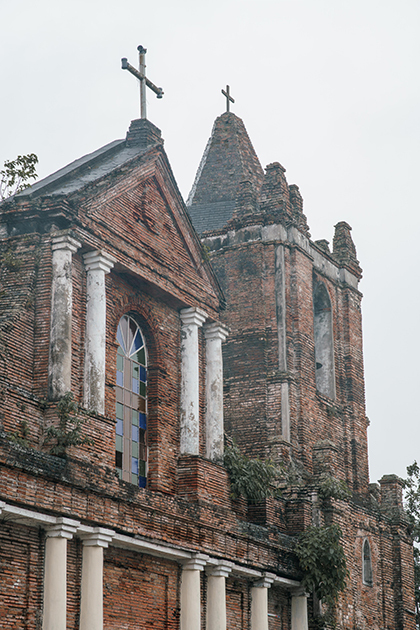 Domingo de Guzman Church was left standing today as the other two were abandoned. 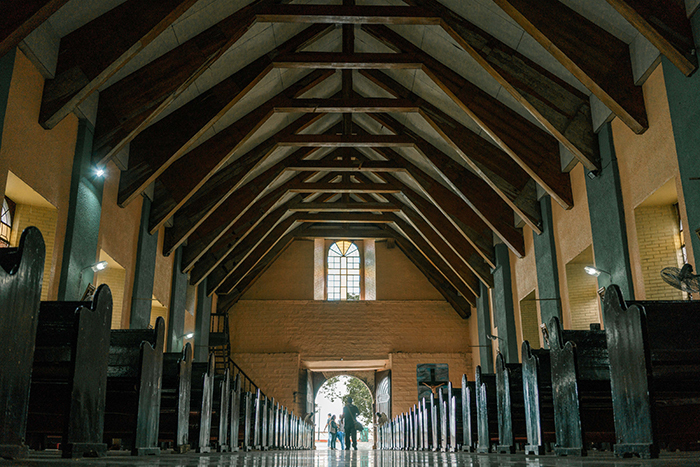 The red brick façade of the church was adorned by white columns while its simple interiors were mainly built on concrete and wood. Disclosure: This Lakbay Norte trip was organized by North Philippines Bureau (NPVB) in partnership with Manila North Tollways Corporation / NLEX-SCTEX, Victory Liner, Inc., Nueva Ecija Convention and Visitors Associations (NECVA), and Cagayan North Convention and Visitors Bureau (CNCVB). Lakbay Norte is an annual media familiarization trip aiming to promote Philippine provinces in the north. 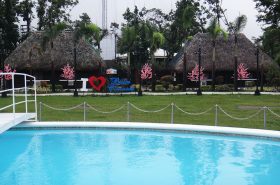 Sponsored by: Department of Tourism – Region 2, Department of Tourism – Region 3, Petron Corporation and Prifood Corporation. Hello! I’m Arrianne and I’m from Manila. I'm a full-time corporate junkie on weekdays and a part-time wanderer in between. 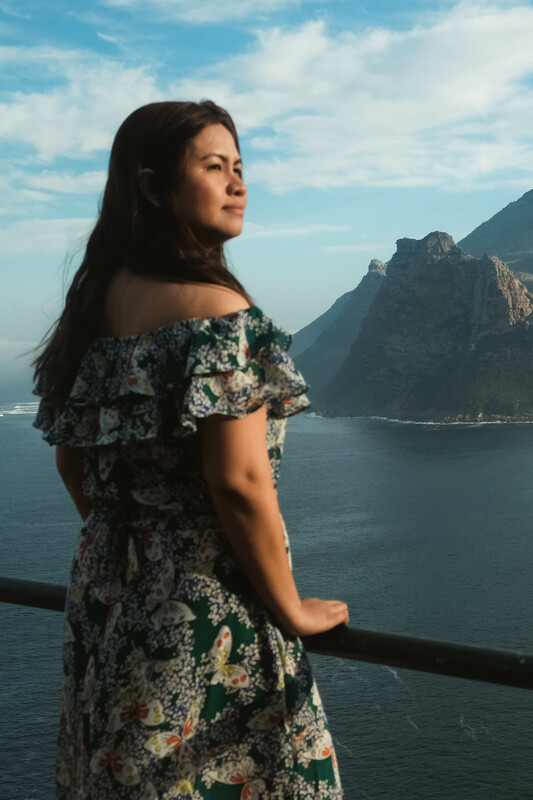 Travel Habeat is my passion project, an extensive array of gastronomic adventures mainly from the Philippines, Asia, and hopefully in the near future, the rest of the world. Enchanté! The contents of this blog solely reflect the pieces of experience and personal views of the author. It does not represent any organization the author is related to. It also does not represent any company or institution mentioned in the articles and the author has no business connection with any of them. Although this blog may provide links to other Internet resources, the author is not responsible for the information written in these sites. © 2019	Travel Habeat. All Rights Reserved.